As many readers will know, both Patrick and I have been writing about the trial of Thomas Kwoyelo in recent weeks (see here, here and here). 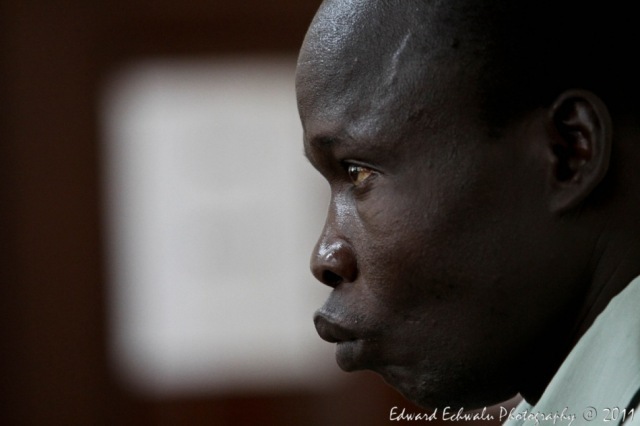 Earlier this year, Kwoyelo became the first rebel commander of the Lord’s Resistance Army to be put in the dock in Uganda. The LRA fought the Government of Uganda for 25 years in a brutal conflict characterized by vicious human rights violations. Today, Kwoyelo was set free. Kwoyelo’s defense successfully argued that putting their client in the dock was unconstitutional. An Amnesty Act, passed by the Government in Uganda in 2000, was intended to entice LRA rebels out of the bush by offering them protection from prosecution for all rebel-based activities. To be granted an amnesty, rebels only had to apply and denounce rebel activities. Kwoyelo did both. In Kwoyelo’s case the Director of Public Prosecutions (DPP) decided that Kwoyelo could not receive amnesty, but refused to specify why. “We are satisfied that the applicant has made out a case showing that the Amnesty Commission and the Director of Public Prosecutions have not accorded him equal treatment under the Amnesty Act. He is entitled to a declaration that their acts are inconsistent with Article 21(1) (2) of the Constitution and thus null and void. We so find. We order that the file be returned to the court, which sent it with a direction that it must cease the trial of the applicant forthwith. The DPP on his part shirked his obligations under the Act. We think it is rather late in the day for the learned DPP to claim his constitutional independence, using the applicant. Despite the verdict, numerous questions remain. 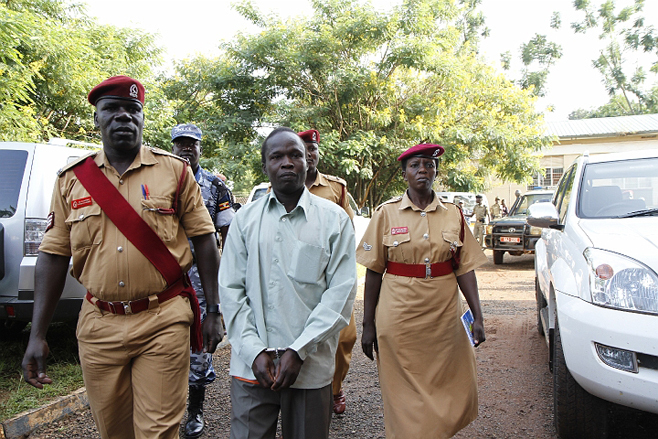 Kwoyelo will be released and is likely to return to live with his family in Gulu. However, he has spent years in jail and may now have the opportunity to sue the government. Regardless, in the eyes of many, he will always be guilty. Hundreds of Ugandans have seen him paraded to Court in shackles, to the sound of an orchestra. Will Kwoyelo be subjected to traditional justice mechanisms? Traditional justice, especially ‘mato oput‘, has been a popular way of pursuing reconciliation in Acholiland, northern Uganda. There will be social pressure on Kwoyelo to participate in a mato oput ceremony, but it’s worth noting that never before has an LRA rebel been subjected to the justice of the courts and then to traditional justice. It is not obvious how these two approaches can work in tandem in a single case. It will be interesting to see whether or not the government seeks to squash the amnesty law entirely. The prosecution in Kwoyelo’s case argued that Kwoyelo should be tried because the entire Amnesty Act ran contrary to the country’s constitution. This could, feasibly, foreshadow a future challenge to Uganda’s amnesty legislation itself. As Patrick has written, this could have significant implications on peace and justice in Uganda. The verdict in the Kwoyelo trial marks an important step in sorting out Uganda’s amnesty which has often been clouded in confusion since it was instituted in 2000. The trial of Kwoyelo only exacerbated widespread misunderstanding of the Amnesty Act. Many Ugandans expressed uncertainty as to how and when it was possible to prosecute former rebels. The record is rather clear right now: unless the Amnesty Act is altered or entirely challenged, all rebels who denounce rebellion can apply and be granted an amnesty. Lastly, the Court’s decision demonstrates the development of Uganda’s judiciary. After meeting with many individuals involved in the case in Uganda, it seemed evident to me that the only way that Kwoyelo could lose the case would be if there was a massive breach of judicial independence by the government. In such sensitive circumstances it is often difficult to know whether or not the process is subject to the whims of political intrusion. That the defense won this case illustrates an important growth in the independence of Uganda’s courts. This entry was posted in Amnesty, Human Rights, Justice, Kwoyelo Trial, Lord's Resistance Army (LRA), Traditional Justice Mechanisms, Transitional Justice, Uganda. Bookmark the permalink. This case might not be over yet though, some of my informants have suggested that the government may challenge the ruling at the Supreme Court. I am not entirely sure whether this is true or if the Constitutional Court was actually the last instance that could rule on the case. Right – I saw that that was possible, but wouldn’t it be more likely that a new process (rather than an appeal to the Supreme Court) would be initiated to do away with the amnesty?